Social workers and other professionals need to do more to help looked-after children achieve their potential, and to diminish the ‘stigma’ of being in care, research has found. The report, Perceptions of Care, by the Become charity for children in care and care leavers, was based on surveys and focus groups with 170 young people. Forty-four per cent of participants said they thought social workers “were not ambitious” for children and care leavers, while 35% said they believed social workers thought children in care are not as clever as other children. “I was a straight-A student, whose teachers wanted me to go to do a law degree; my social workers told both me and my foster parents that children in care don’t go to university and to stop encouraging me,” said one young person interviewed for the report – who nonetheless did make it to law school. Chloe Cockett, Become’s policy and research manager, said that the research highlighted the “pivotal role” social workers play in young people’s lives and the importance of taking that responsibility seriously. “When adults aren’t ambitious, that can have an impact on children and young people in care, which can then impact on their lives going forward,” Cockett said. Nushra Mansuri, professional officer at the British Association of Social Workers (BASW), described the report as a “must-read” for social workers and other professionals involved in supporting children in the care system. 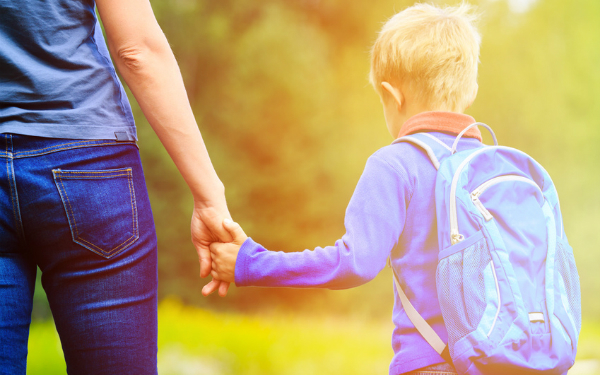 Jonny Hoyle, a care leaver and former campaigner who is now managing a looked-after children team at North Yorkshire council said he found the study findings “saddening though not surprising”. The report also found that only 31% of young people believed social workers appreciated what it meant to be in care. Some of them noted a “lack of understanding” about daily life for children in care and care leavers – but they also commented on observing social workers being “worn down” by the care system’s limitations and too busy to build proper relationships. Hoyle said that he “struggled with the notion” of children being aware of the pressures on social workers. But he added that he had “massive sympathy” for practitioners who “go into the profession wanting to work with children and young people and end up spending their time in the company of computers”. He called on social work leaders to do more to ensure practitioners have the time and energy to support young people’s expectations and aspirations. Hoyle added the team he now leads has recently sought funding to employ ‘opportunity brokers’, specifically to forge links with employers and educational institutions in order to find opportunities for young people in or leaving the care system. Elsewhere, Become’s research found that social workers as well as other professionals such as teachers could do more to mitigate the ‘stigma’ faced by looked-after children. Young people said that seemingly trivial actions by professionals – for instance, social workers meeting them at school wearing a name badge – could mean they had much less control over who found out whether they were in care. Being treated differently by peers was a particular concern to young people. Mansuri said the findings sent a “powerful message” to practitioners who operate within policy frameworks that emphasise the importance of respecting young people’s wishes and feelings. June Thoburn, emeritus professor of social work at the University of East Anglia, said the report was a reminder that social workers should “think twice”. “Children should have the right to control over who knows they are in care – and they should know who knows,” she said. Think this article is very disappointing. I don’t know a SW who would not encourage a young person in the care system to go to University. When young people enter the care system usually the first thing to go is their education – every SW I know does their best to maintain this. The article also states SW’s don’t know what it is like for young people going into care – again I dispute this. Every LAC SW I know is completely empathetic towards young people and work their hardest to get positive outcomes. Poor article. I have read this article with sadness I was employed as a children’s Social Worker for a number of years, I applied for promotion once all of the young people on my case load were in a position to move on. As it is my view that the relationship between young person and Social Worker is crucial to enable children to achieve their potential. During my time as a Social Worker I had 3 children all go to University and a number went on to Higher Education one was also invited and attended the Queens Gatden party. I always had the same aspirations for the children/young people on my case load as I did for my own children. Sometimes it is about channeling their interest’s but how can you know what these interests are if you only see them every 6 weeks for an hour. In addition the children have so many different Social Workers why should they invest in anyone who will only be around for a short time. This position needs to be looked at to enable the young people to improve their future life chances. It is absurd to expect social workers to read this and expect there to be change. Social workers are central to care planning but simply do not have the capacity to prioritise children who are looked after when there are so many competing demands which, year on year, are increasing! I find that it’s others that have low expectations. My young people and I often have chats about the future and I have very high expectations of them and the schools they attend. I ensure PPG + money is spent on tutoring and 1-2-1 and I don’t ever make excuses for fighting or being rude and abusuve. I do however ask schools to consider what brought them into care may have an impact on behaviour but no excuses and I also find that normal teenage behaviour is often analysed as more problematic. When I tell cares to ask schools to ring me if they have an issue and not them everyday the calls go down. Within the care system there are many policies, procedures, laws and legislation one being valuing people but do we really value anyone adult or child. It is reported in the media the care system overall is at breaking point. More recently we could look at the attitude of David Cameron’s austerity policy his governments attitude and the current Governments attitude towards vulnerable people, the underprivileged members of society, and Education. Everything costs finance balancing the books and peoples income all play a part but so does attitudes collectively or individually. Unfortunately the majority of the people in this country voted for austerity. The voters put the Government in power. Therefore it could be argued families and children cannot reach the stars because austerity policies an those who voted for them. There has to be consequences we costively hear the Local authorities are extremely stretched, the NHS the emergency services are over stretched, Social workers case loads are far to high, support staff, care workers are underpaid, undervalued and all are finding it difficult to provide all but the basic service. When something goes wrong time and time again we here why did someone not say something why did someone not do anything about it. Some do what happen stop them? If we want children to reach the stars and want the best for ourselves and our children it could be argued it may be beneficial for Governments and society as a whole to reflect on attitudes, speak up collectively, encourage better working practices, support parents to be better parents and devise a system which is more ambitious and enables children to reach their potential.